December 3, 2018 / Modified dec 4, 2018 10:15 a.m. The group conducts research on glioblastoma, the type of cancer that took Sen. John McCain's life. Dr. Baldassarre "Dino" Stea, middle, investigates genetic causes of brain cancer. A group of University of Arizona researchers believe they've found an important clue in the fight against the kind of cancer that killed Sen. John McCain in August. That clue lies in the DNA found in the cells of long-term and short-term survivors of glioblastoma, an aggressive form of brain cancer. Those who are diagnosed with it live for just 15 months or less. Sen. McCain lived for just over a year after doctors found his tumor. 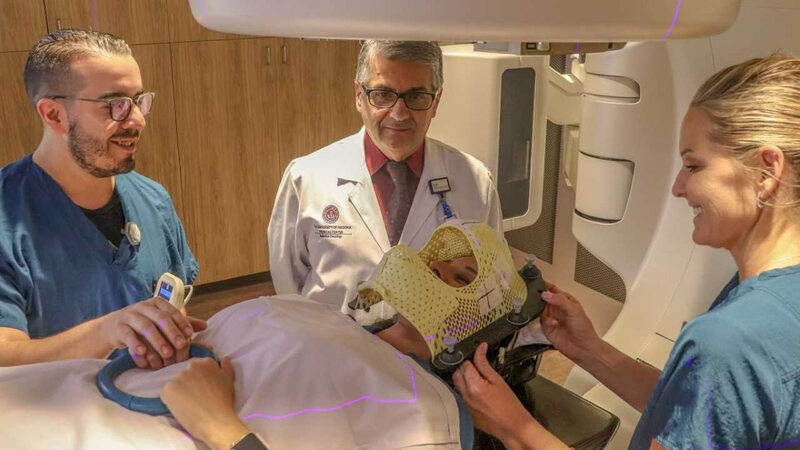 UA radiation-oncology researcher Dino Stea's team compared cancer cells from people living with glioblastoma and found a genetic protein that seemed to limit the survival chances for some patients. Stea says the group's research is in its early stages, but notes it can help a patient know more accurately how much longer they can live. "We are also going to be able to identify the ones who are, unfortunately, destined to live less, and we may be able to enroll those patients in more aggressive clinical trials," he said. The American Brain Tumor Association says glioblastoma is the most common of all malignant brain tumors. This form of cancer killed Sen. Ted Kennedy and Beau Biden, the son of former Vice President Joe Biden.